The New year started with a pleasant surprise. I have received a surprise package from a friend whom I met via Internet long ago. 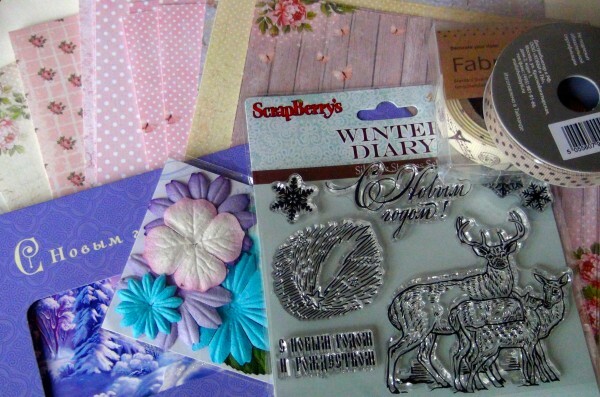 She not only surprised me but also read my mind by sending me a stamp set with dears. 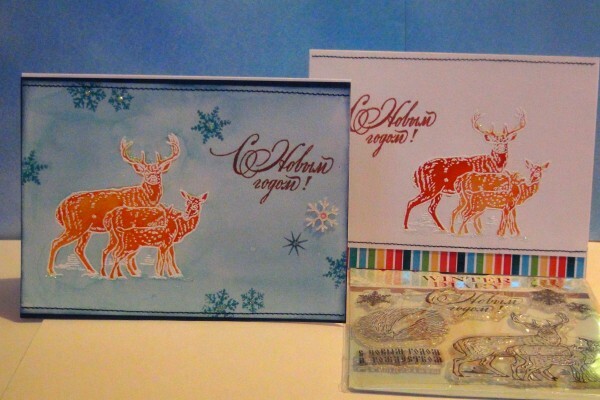 I saw Oksana's beautiful cards and Jacqueline's winter magic cards... 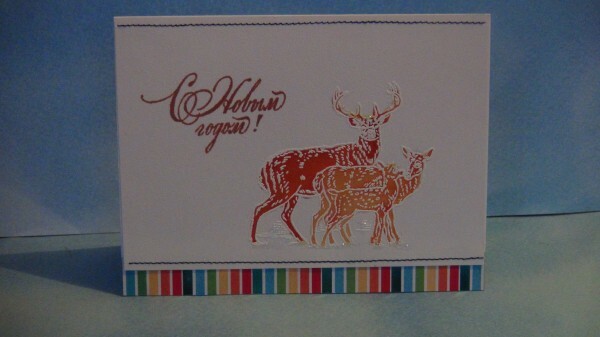 They all had dears and I found I like them on winter cards. But I had none. What a surprise to receive them as a gift! The image is white embossed on egg shell watercolor paper and colored with distress inks. The image is white embossed on egg shell watercolor paper and colored with distress inks. 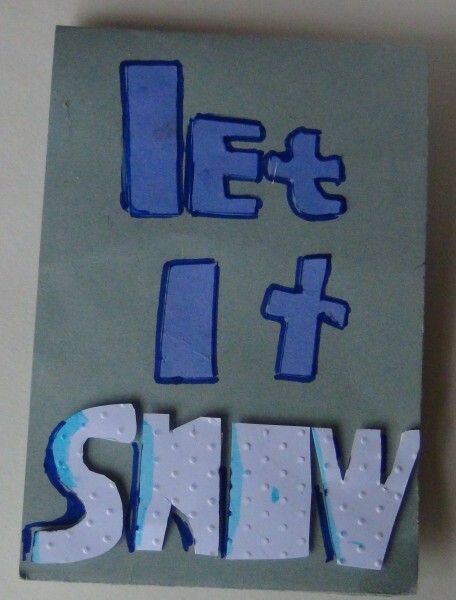 Yegor made this card using some leftover scraps. I love how his design. 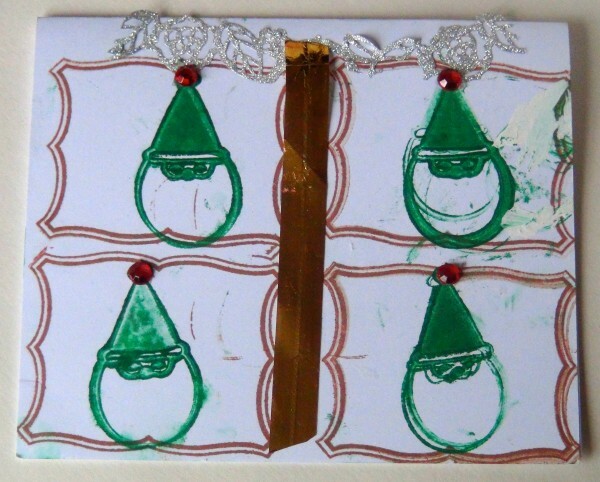 My youngest son Fiodor worked on his card by himself. So when I saw the result I was surprized by his choice to repeat the design four times. How cleaver is this? I noticed later he smudged a bit, but camouflaged it with some white out! SO happy somebody sent you a deer stamp! !